Built around 1895, 157 Neil Road is a townhouse located in Singapore’s historic district of Tanjong Pagar. 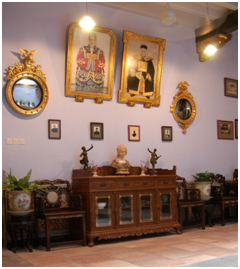 Once the ancestral home of a Straits Chinese (Peranakan Chinese) family, the property was acquired by the National University of Singapore (NUS) in 2006 from funds donated by Ms Agnes Tan, a lady of Peranakan Chinese descent. Archaeological excavations and detailed studies of architectural features and construction materials were carried out followed by conservation and restoration works before the premises officially opened on 4 September 2008 under the stewardship of NUS Museum. Named ‘Baba House’, the project is conceived as a heritage house facilitating research, appreciation and reflection of the Straits Chinese history and culture. This is articulated through the conservation and reconstruction of a domestic space which exhibits the community’s material culture dating back to the early 20th century. 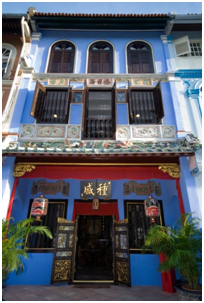 Academic researchers and art practitioners are invited to use NUS Baba House as a resource to launch into explorations on evolving narratives about the Straits Chinese, as well as to conduct studies in a variety of disciplines including urban changes, traditional architecture and building conservation. The third floor of the House has been converted to an art gallery and is currently hosting “Capturing the Straits: Painting and Postcard Views from the 19th and Early 20th Centuries”, which runs till 31 October 2012. 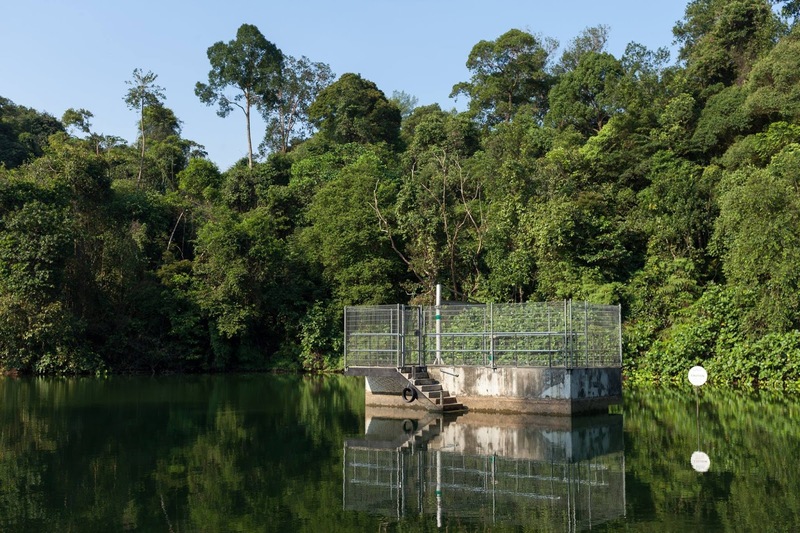 The exhibition which provides glimpses into the nature of urban transformations and the social settings in which communities lived and interacted during the era of the Straits Settlements. 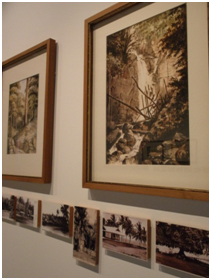 A selection of paintings by Scotsman Charles Andrew Dyce who lived in Singapore between 1842 and 1847 are displayed alongside picture postcards of Malacca dating from 1900 to 1957. Collectively, the visual materials formed an index of places, dwellings, buildings and people and describe encounters and achievements in colonial Malaya. Heritage Tours are held four times a week and are about an hour each. 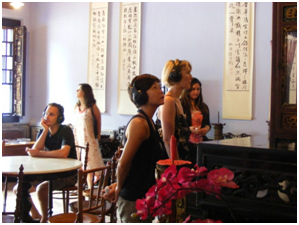 The Heritage Tour covers various aspects such as the history of the house, architectural features, domestic interior of a Straits Chinese home, Peranakan Culture and the current exhibition as well. Advanced booking of heritage tours are required. Tours are offered on Mondays 2pm, Tuesdays 6.30pm, Thursdays 10am, and Saturdays 11am. Limited to 13 participants per session, on a first-come first served basis. Held in conjunction with the exhibitions, varied programmes are designed to provide a platform for discussions that emerged from the exhibition. Programmes for the current exhibition have concluded. Talks, discussion panels, workshops and walking tours are organised under our ‘Maintaining Heritage Series’. Themes on evolving cultural practices; collecting and display; architectural and urban conservation; and heritage policies aim to encourage debate on the considerations and challenges in managing various constituent elements of heritage. Upcoming programmes include a Neil Road Walking Tour that will focus on architecture. Engrossed in the stories taking place in the reception hall. Do you have any programming ideas and would like to collaborate with us? 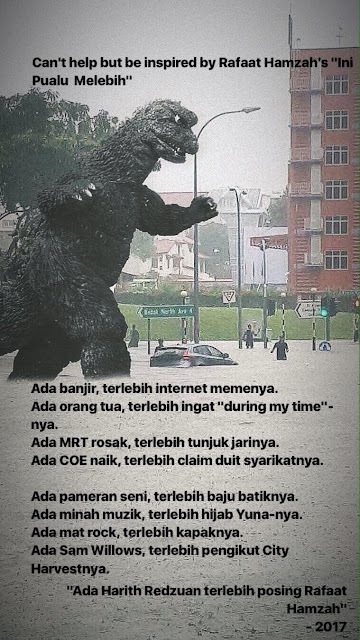 Drop us a note with your suggestions at babahouse@nus.edu.sg. For enquiries, please visit www.nus.edu.sg/museum/baba, call  6227 5731 or email babahouse@nus.edu.sg. 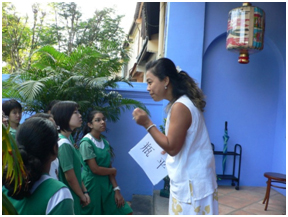 Poonam Lalwani is the Guest Relations and Outreach Manager at NUS Baba House. She handles guest services activities, outreach programmes and volunteer relations. She is constantly looking out for programmes that explore the boundaries of the Peranakan Culture.